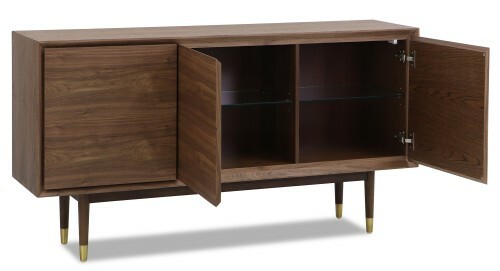 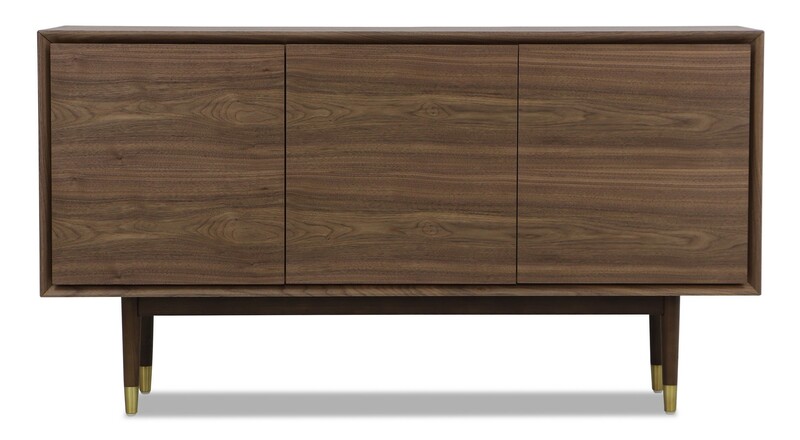 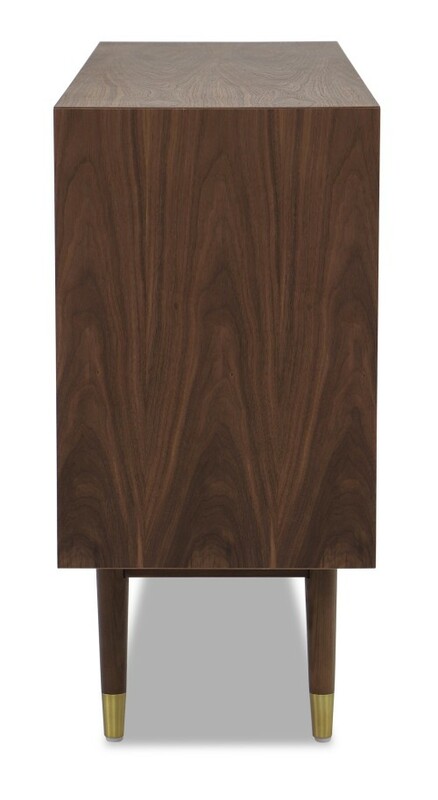 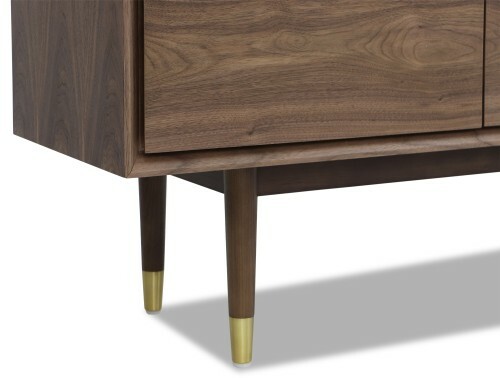 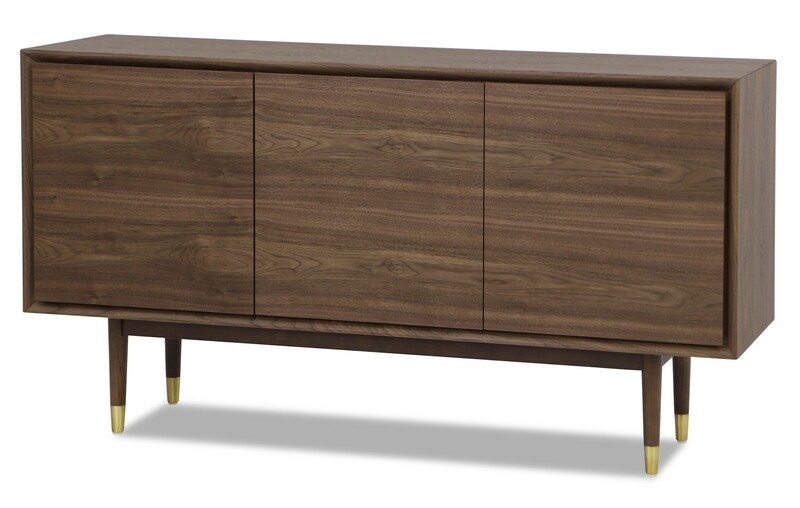 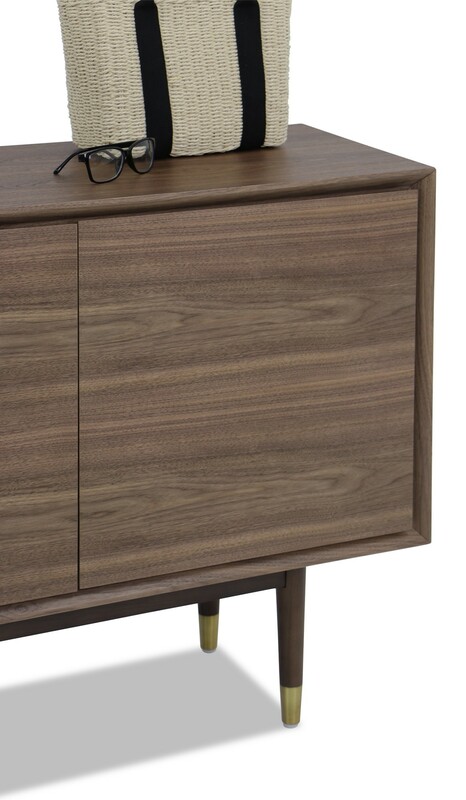 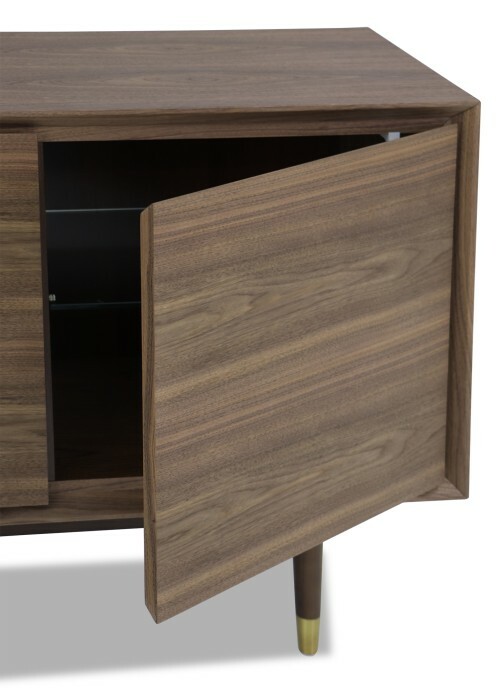 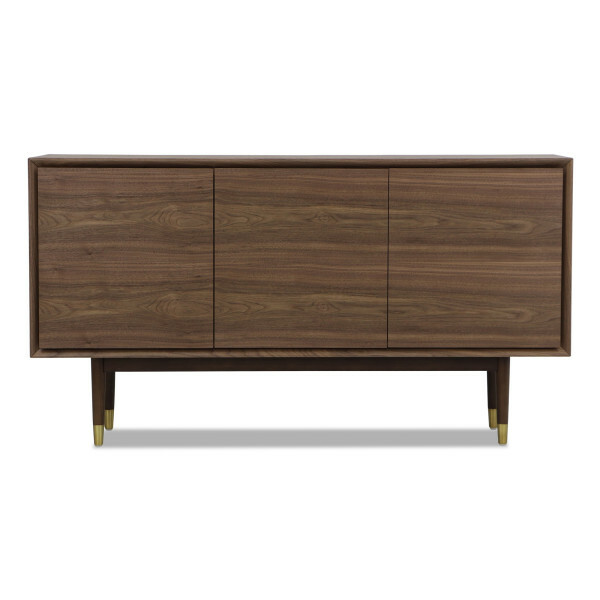 The Herald Sideboard emphasizes on details to ensure the perfection of the product. 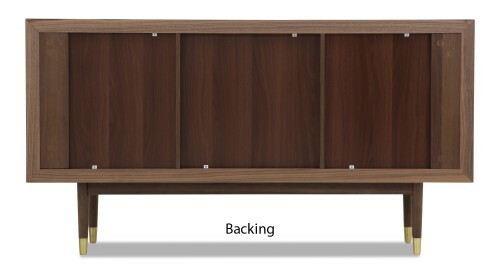 A single sheet of walnut wood veneer is used to clad the doors. This is to ensure the grains are continuous to create a seamless aesthetic. 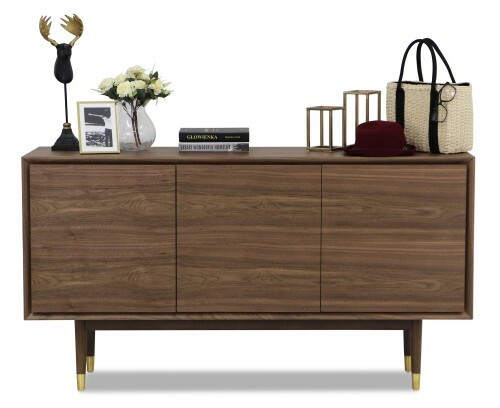 Golden caps on the legs add elegance to the sideboard and can be paired with luxurious and glamorous furnishing in the house. 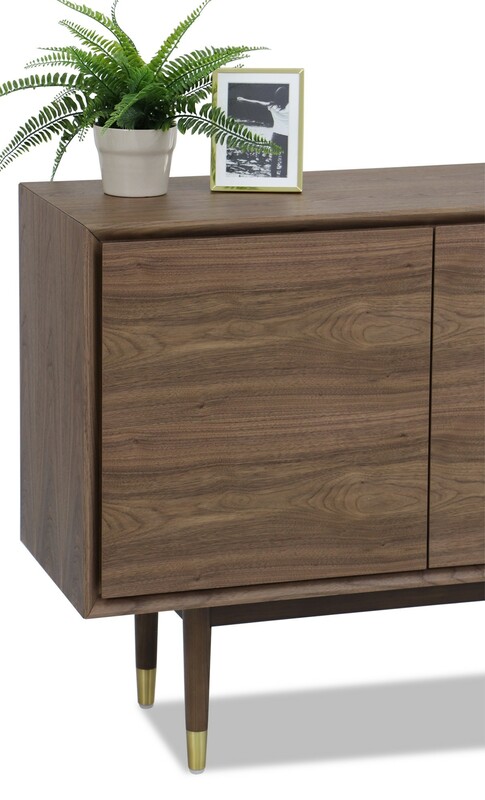 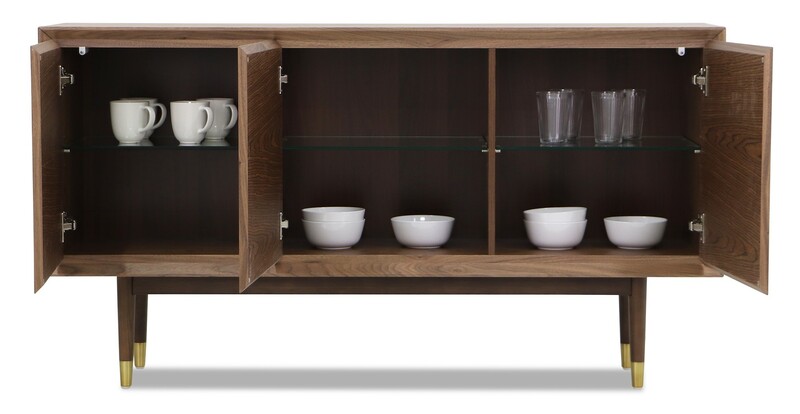 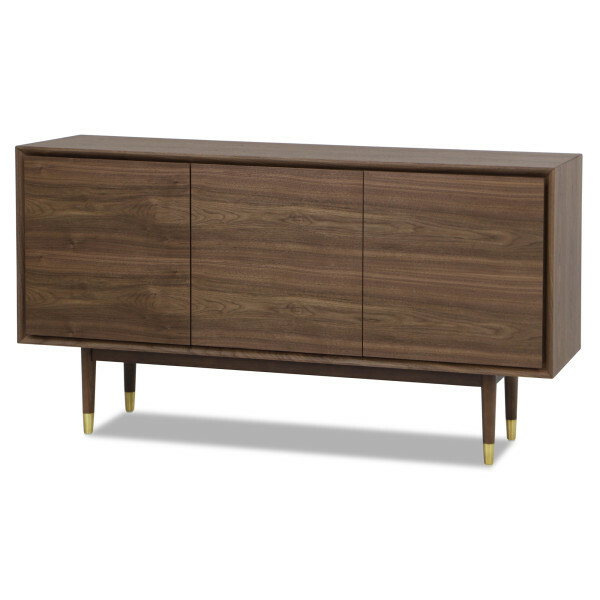 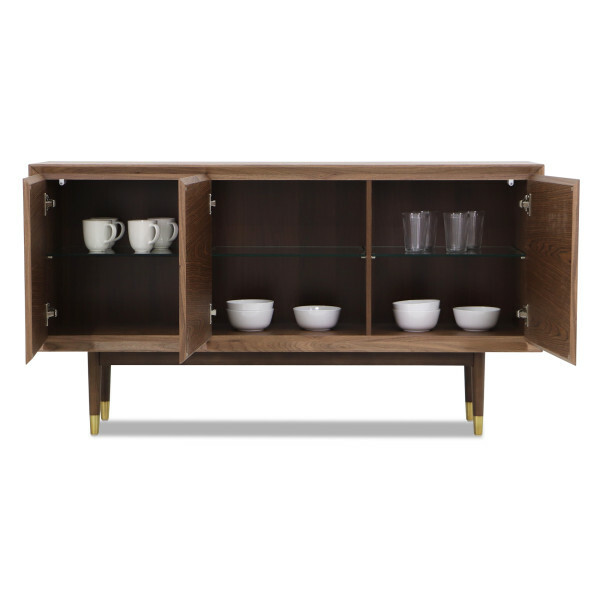 This sideboard offers ample storage space for your serveware, dinnerware and more.